Composition dolls are a type of doll that originated in the 20th century and are composed of a mixture of glue and sawdust, hence “composition dolls." 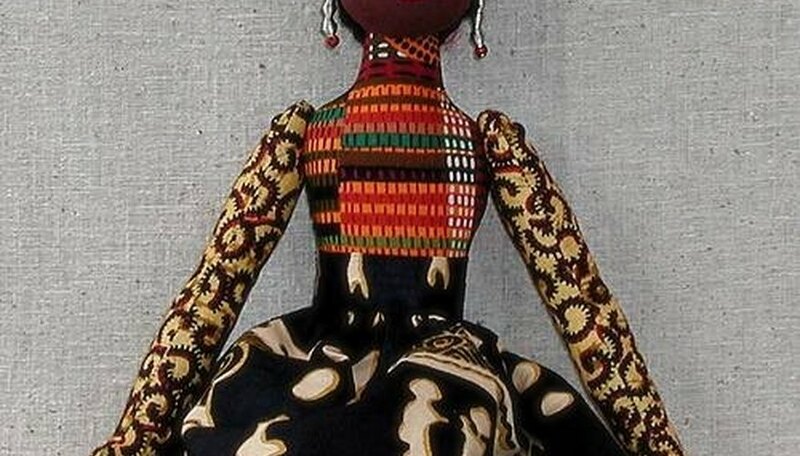 Dolls made from composition were manufactured from the early-1900s until the 1950s, after which they were discontinued in favor of newer doll-making techniques, making them obsolete and antiques. If you are lucky enough to own one, keeping it repaired, restored and in “fit” condition is crucial to preserving your antique. Repair holes in composition dolls by patching them with epoxy putty, such as Loctite. Work quickly using a putty knife to smooth and conform the putty into the contours of the doll for this putty sets in merely three minutes. Use a pourable finishing coat, such as Evercoat 417, to fill cracks in dolls’ bodies. Again, use the putty knife to smooth the coating evenly onto the doll, and work in a well-ventilated area wearing gloves and a face mask. Sand the doll down using fine sandpaper to make the doll completely smooth. Apply a base of PVA glue onto the doll bodies before proceeding to paint them with water-based acrylic paints. Allow the painted dolls to dry completely, and then spray them with five or six coats of clear satin finish to give them a clean, glossy shine. When preparing paint for dolls, mix the paint colors under a daylight intensity bulb or in noon sunlight to ensure you mix the proper skin tone. Evercoat 417 contains toxic fumes and dust. Always wear gloves and a face mask when working with this product.